The cover: it’s like you want to be wrapped in it, make a comforter with the pattern. Issue 21 Seasons is available now on iTunes and the Web with articles about fat bikes, gravel, racing, roadies, and relationships. As middle-aged men took to Twitter expressing their rage they did so without looking at the fact that every team invited to the 2015 Tour of California is better on a competitive level than Airgas-Safeway. Annual subscriptions are $16 or an individual issue for $4. 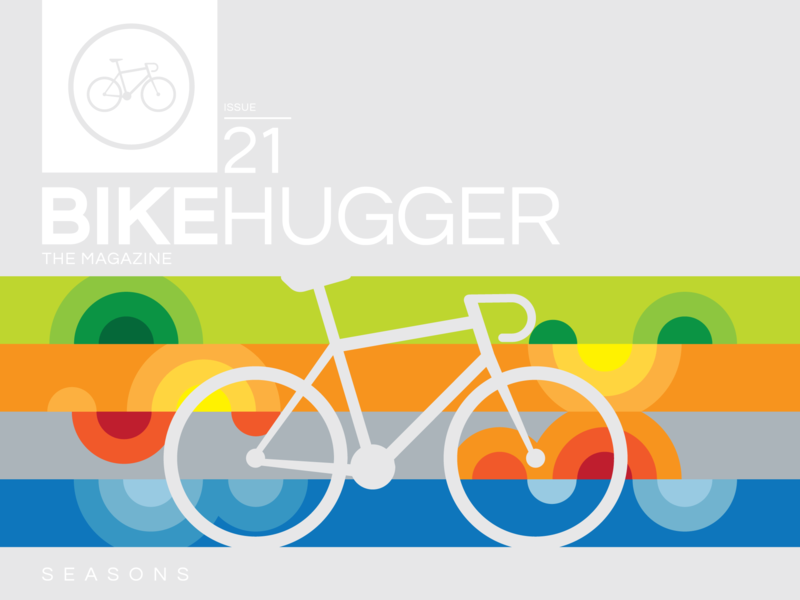 Your money directly supports the authors, photographers, and editors who contribute to Bike Hugger.